Physically you are a human being, but mentally you are incomplete. Given that we have this physical human form, we must safeguard our mental capacity for judgment. For that, we cannot take out insurance; the insurance company is within: self-discipline, self-awareness, and a clear realization of the disadvantages of anger and the positive effects of kindness. 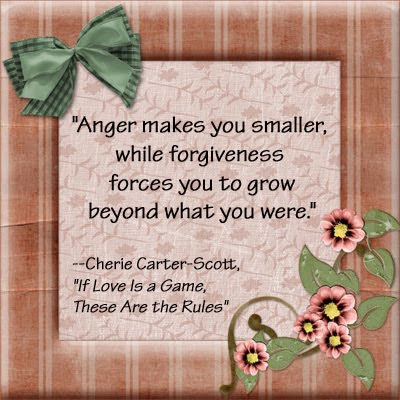 "Anger makes you smaller, while forgiveness forces you to grow beyond what you were"